In a bid to improve kids self confidence and self esteem, parents use a variety of positive reinforcers. 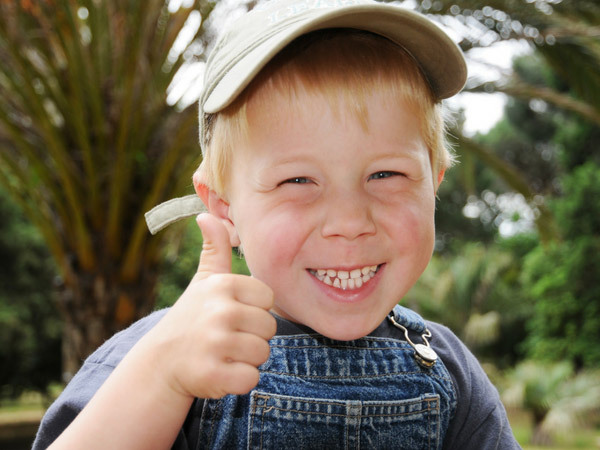 Positive reinforcement allows the children to grow more confident, self reliant and independent. It is important to note that when you provide positive and negative reinforcement to kids, you encourage them to set positive goals in their lives. There are many different forms of behavior modification – for example: rewards for good behavior and also verbal affirmation. Let us have a look at some examples of positive reinforcers for your kids. A reward for good behavior is one of the best ways to encourage your kids. If the kids know that there is likelihood of a reward after completing a certain task, then they will strive to complete the task well and within the stipulated time. An example of a reward is taking kids to the park or buying them their favorite movie. If your kid completes a task before you ask him to do it, you can reward him to show how you appreciate his effort. Verbal affirmation is also a good way of encouraging kids. It shows them that you have recognized and appreciated what they have done. If you make a point of telling your child specifically that you are happy about how they handled a specific task or chose a certain attitude, they will remember, and try to do it again. Parental approval is something every child longs for. Simple statements such as “I love the way you have arranged your toys” could mean a lot to your child. If your kid realizes that by doing certain things they make you happy, they will strive to ensure that they do more of those things. Kids are very interested in doing activities that accord them a sense of validity and self-worth, especially when it comes from their parents. As a parent you will realize that your kids will come to you to seek approval on whatever they have done. For example, after a child has completed painting something, he will come to you to ask if you like the painting. Sometimes you can ask them, “what do you like about this picture?” or “what do you think about this picture?” This will provide the child with an opportunity to look at the painting closely and he will be able to explain why he painted it the way it is. If you tell your child that you are very impressed with the painting, you will be able to instill self confidence in the young child. This is another great type of positive reinforcement. Sometimes it would be important to ask your child to evaluate the behavior of a certain kid even if the kid is on television. By asking your kid to evaluate the behavior of another kid, it shows that you have confidence in him that he has the capacity to know what is right and what is wrong. After completing the evaluation, the parent can take some time congratulate the kid for being able to identify good aspects on the other child’s behavior. Positive reinforcement is very crucial in every child’s life. Staying positive throughout the day will help the child to be able to overcome the difficult moments in his life. Positive reinforcement is the best way to get rid of negative behaviors in your kid.